A year ago, I purchased a black and white postcard in a bookstore in downtown Rhinebeck, N.Y. 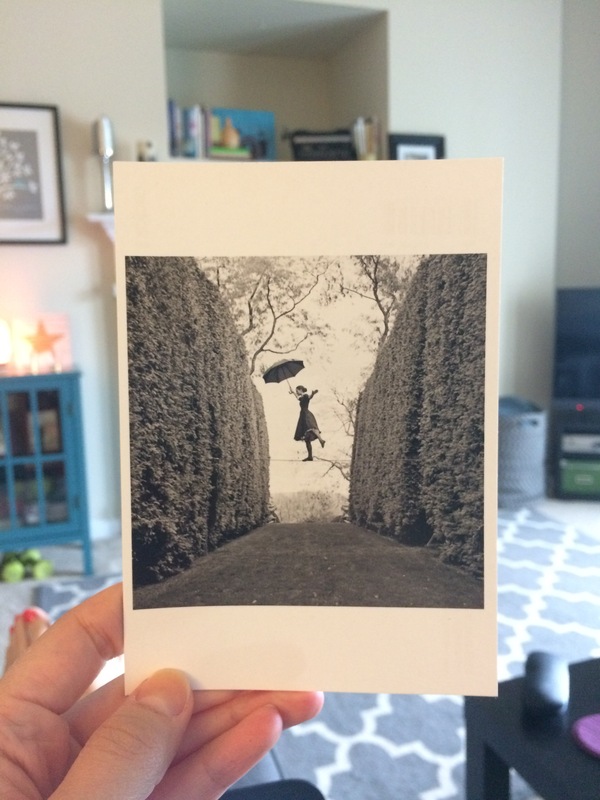 The postcard features a photograph of a woman in a dress, holding a parasol and balancing on a tightrope between two rows of hedges. The image resonated with me and felt like the perfect metaphor for my life at the time. 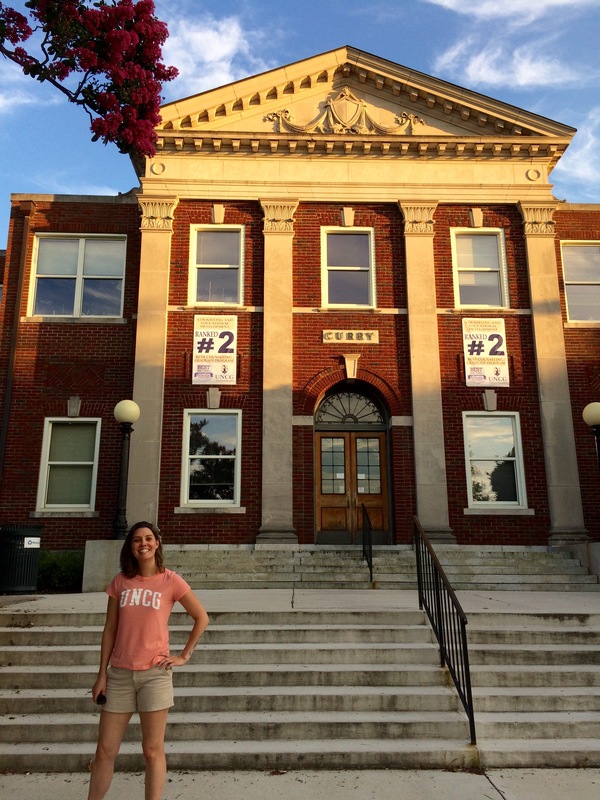 Just weeks before, I had taken the GRE, which stands for Worst Test Ever. It was the first major step I took toward my dream of becoming a mental health counselor. That entire year felt like a balancing act, teetering between the past and the future, my grief and my healing. Many times, during that difficult year, I felt stuck in my grief, like I was sinking into a deep pool of wet, heavy mud. But when I saw that black and white postcard that afternoon, I also saw lightness in the way the woman balanced her body on the tight rope, and her gentle determination. The photograph gave me hope that I would once again find the lightness in my own body and reach the other side of the tightrope. Well, I have reached the other side of that tightrope. Tomorrow is my first day of grad school. This journey that I embarked on a year ago is actually freaking happening. I am in shock every day that my dreams are being realized. Along the way, so many of my loved ones were cheering me on, supporting me, believing in me, confident that everything would work out. It’s also been a nerve wracking and scary experience to take on. I left my job just two weeks ago. The night before I gave my notice, I printed my resignation letter, walked into the living room, and joined my husband on the couch with the letter in my hand. I started to sob. “I am freaking out. Majorly freaking out,” I sobbed. “You should be,” he said. “It’s a huge deal.” Yes, it is a huge deal. But I never second guessed one second of this journey. The closer I got, the more I realized how much I wanted it. Every step of the way, I was shocked and surprised when I’d make it to the next level. After I took the GRE, it was like doors just started opening for me. I applied to two nationally ranked schools and got into both. My Life Coach instructor kept telling me last year that my dream was just “three clicks away.” I laughed and told her she made it sound so easy. “Because it is,” she answered. 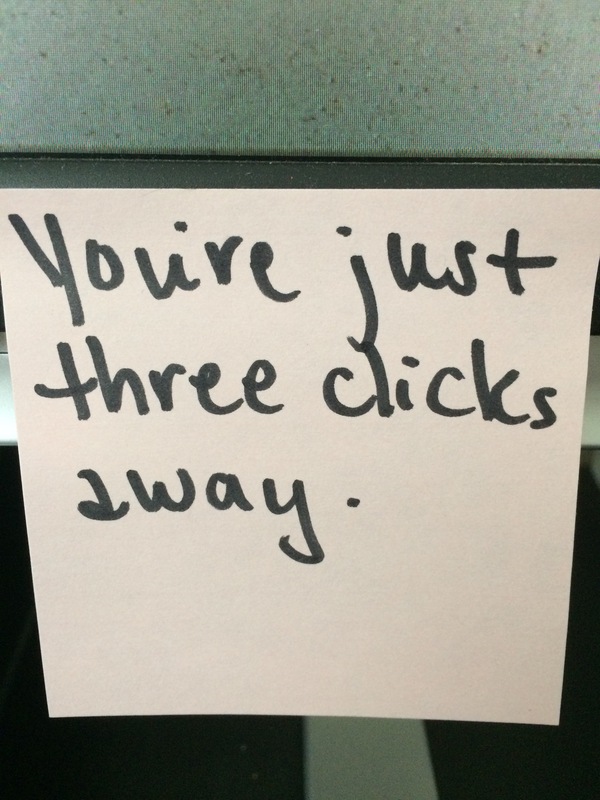 I listened to her advice and I wrote the words “You’re just three clicks away” in black Sharpie on a post-it note tacked to my computer at home and at work. Doing that simple task made my goal seem attainable. The day that I realized that there were no more clicks, that I had arrived at my goal, I smiled as I removed the sticky note from my computer, balled it up in my hands and tossed it in the garbage. I’ve wanted to be a counselor for a long time. It’s one of those things that I feel has always been in the back of my head. I’ve always had a heart for people and helping others. As early as grade school, I remember my girlfriends passing me notes in class, writing to me like I was an advice columnist: “Dear Carla.” They had questions about boys, friends, their parents divorcing. In high school, I volunteered a lot through the Future Homemakers of America (FHA) and spent time in psychiatric hospitals and assisted living centers singing carols, serving food or just having a friendly conversation with the residents. By the time I was a sophomore in college, I became depressed, partly due to the stress I was under. I was a full-time student working 25 hours a week and writing for two on campus publications and in a relationship. I was overwhelmed and extremely unhappy—numb even. I don’t remember how I ended up at the counseling center at my college, but my counselor, Alice, saved me from a really difficult time in my life. The other day I was rummaging around in our guest closet when I found a piece I wrote about my struggle with depression for my Creative Non-Fiction class sophomore year. I sat down in the middle of the closet and read the entire thing. I remembered going through a tough time, but re-reading my own words made me realize how much pain I was in. I couldn’t help but cry reading it. Since Alice, I’ve seen four counselors throughout the peaks and valleys of my life. And I can honestly say because of them, and because of the work I put into growing and learning about myself, I am the best version of myself. I believe so strongly in the power of counseling, and how it can transform lives the way that it has mine. Last year, my heart felt called to do this work. Writing will forever and always be my first love, but I have never in my life felt so pulled to do something like this. At times, it has felt like there has been some outside force pushing me, guiding me down this path. When I would talk about my dream with my friends or family, I would start crying; that’s how badly I wanted it. After my first interview at my top choice school, I called my husband and best friend and bawled over the phone, blabbering about how I didn’t do well and feared I didn’t get in. A few days later, my acceptance letter popped up in my inbox. I was on my lunch break, casually checking my email while shoveling food in my mouth. My whole body started to tremble and I burst into tears, re-reading the letter over and over to make sure it was true. It really wasn’t a dream. 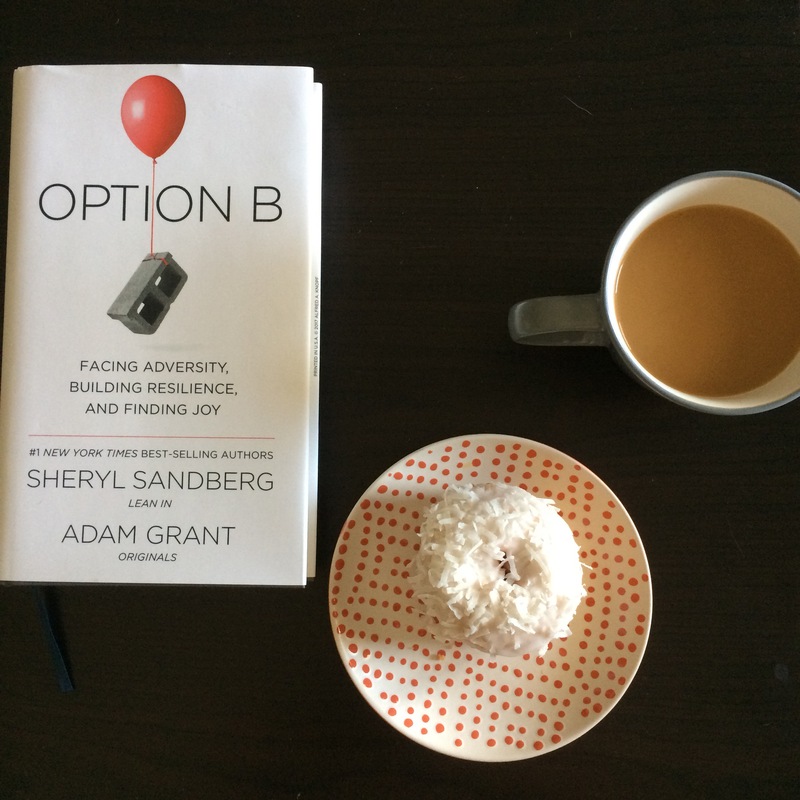 During the last two days, I’ve been reading Sheryl Sandberg’s “Option B: Facing Adversity, Building Resilience, and Finding Joy.” In chapter 5, “Bouncing Forward,” she writes about “post-traumatic growth,” positive outcomes that follow loss. I wasn’t familiar with this phrase, but as I read the chapter I began to realize that grad school is my positive outcome from my trauma. That experience, that loss, changed me forever. Months after it happened, my eyes started to open. I found myself re-examining my priorities and redefining what really matters. I longed for a job that would fulfill me and impact the lives of others. I felt a deep need to help people heal and grow. Sandberg writes that in the past psychologists defined two possible outcomes of trauma: a person either struggled (developed PTSD, depression, anxiety), or they were resilient. But now, there is a third outcome, bouncing forward, Sandberg writes. Seeing new possibilities is one of the forms that post-traumatic growth can take. The chapter goes on to share a dozen anecdotes about people who have experienced an incredible loss, and recovered by re-imagining their life and “adding more love and beauty to the world.” That’s how I see this change in my life. 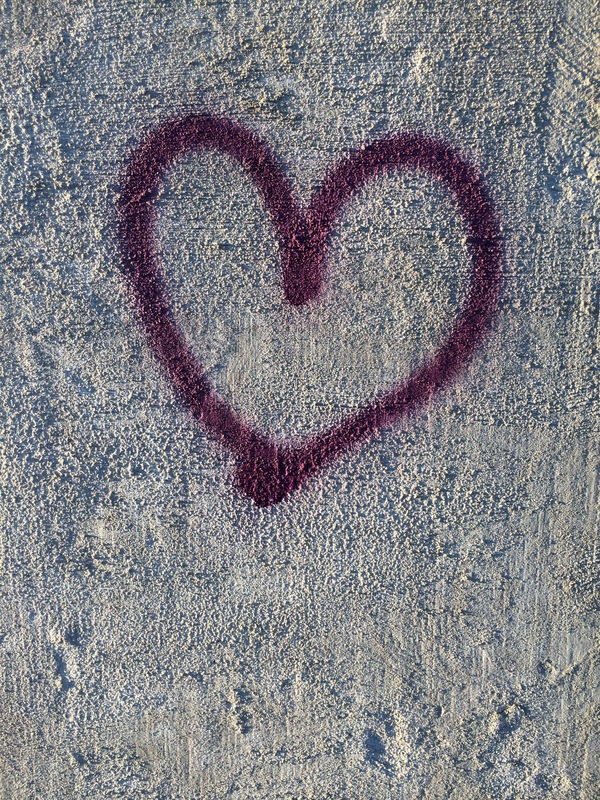 More love. More beauty. A better world. “It’s like you’re going through a portal. You can’t go back. You’re going to change. The question is how.” That’s a quote from Jeff Huber whose story is told in the chapter. He lost his wife to cancer, quit his job, and became CEO of a company that detects early cancer—despite warnings from loved ones not to make any big decisions or changes after losing his wife. Jeff’s words made me pause on the page. Last year felt exactly like walking through a portal. I came out on the other side a changed person. Now I’m using that experience to fuel my dreams and, I hope, help others who have undergone similar experiences of loss and trauma. My department orientation was last week. I got to meet the rest of the future counselors in my cohort, and reconnect with those I met during the interview process. I was on an adrenaline rush all day. I still couldn’t believe I was there, that this was happening, that these professors saw my potential and welcomed me into this program and this profession. I can’t believe this is my life. When I recapped the day to my husband, I told him how I had this comforting feeling the whole time that I was exactly where I was supposed to be. “I found my place,” I told him. “I found my people.” It took me 37 years to get there, but the timing couldn’t be more perfect.